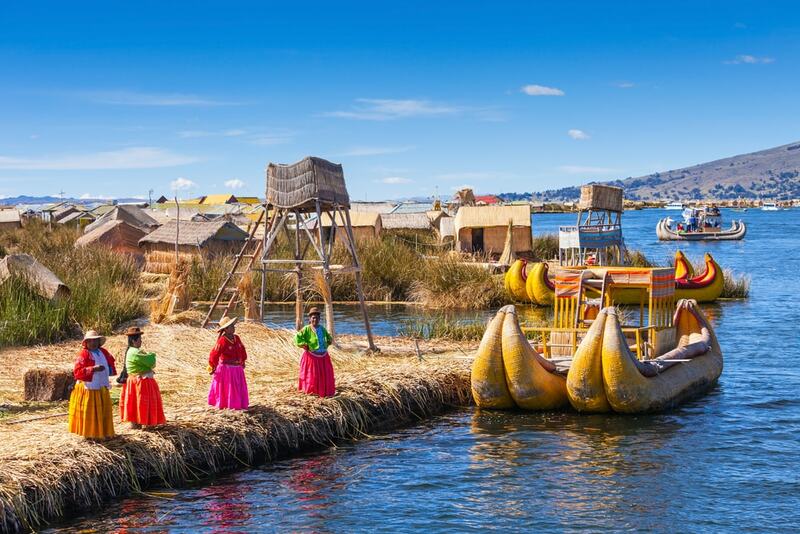 Home to one of the most fascinating indigenous groups on the continent, the floating islands of Uros are a highlight of any South American itinerary. Despite some complaints about the experience feeling a little contrived, learning about their history and present day living arrangements is a remarkable experience that is entirely worthwhile. Here are 10 things you should know before embarking on a trip to the islands. 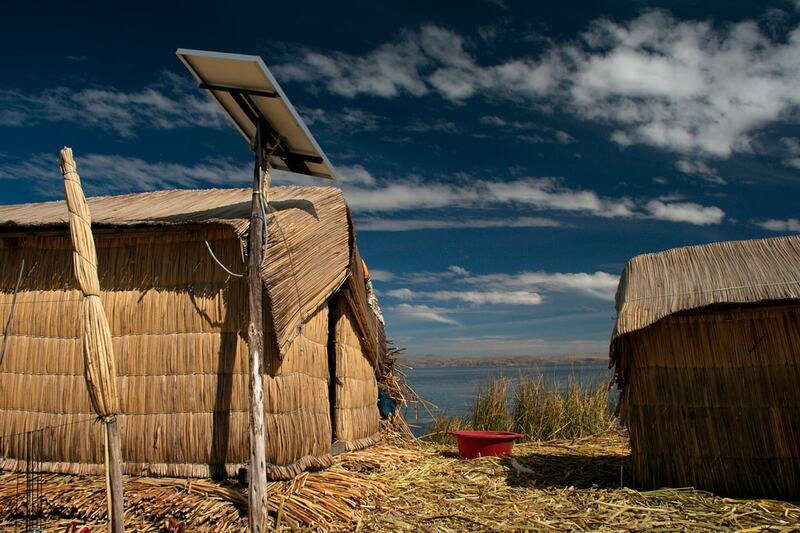 According to a 2011 census, some 1,200 Uros people still live on 62 artificial Lake Titicaca islands that form an archipelago some 5 km (3 miles) from the port of Puno, Peru. The lake rests at a dizzying altitude of 3810 meters (12,500 feet) above sea level. 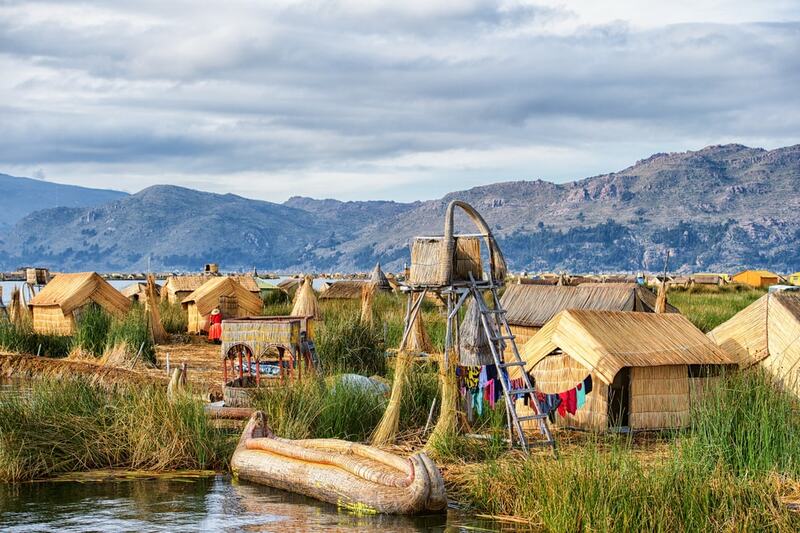 The Uros are a unique indigenous race who migrated to Lake Titicaca an estimated 3,700 years ago. 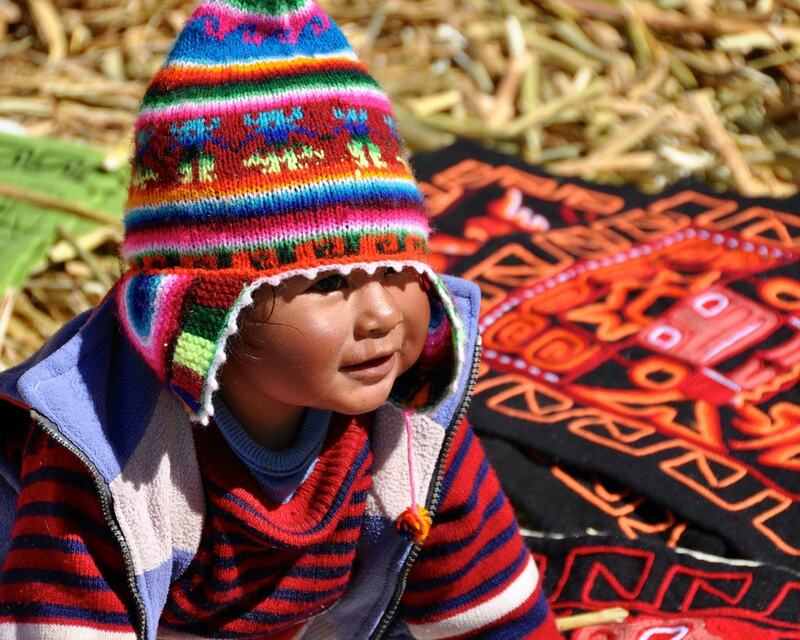 Over time, they mixed with the nearby Aymara and eventually abandoned their language and many of their traditions. 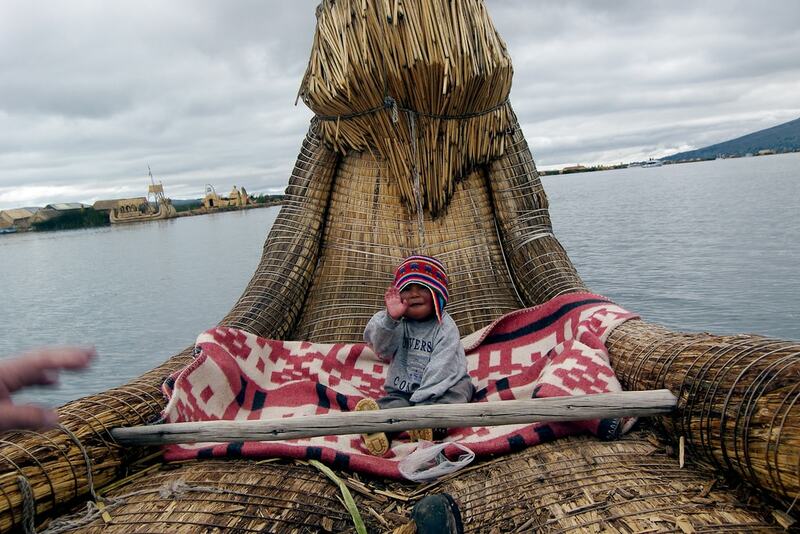 Due to political uncertainty in the region, particularly with the arrival of the Incas, the Uros built a mobile floating city in order to evade their enemies. 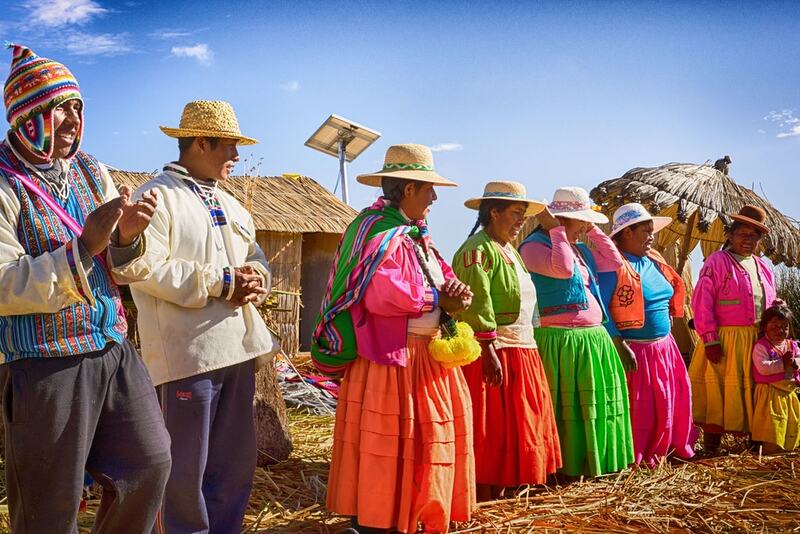 Unfortunately, the Inca eventually found their colony and forced many Uros into slavery. Despite how it may seem, the Uro actually embrace modern technology, relying on solar panels to power electronic devices such as TVs and charge mobile phones. Astonishingly, there is even a community radio station on one of the biggest islands which broadcasts traditional music throughout the region. Young children attend a Christian run school on a local island while older students must attend high school or university on the mainland. 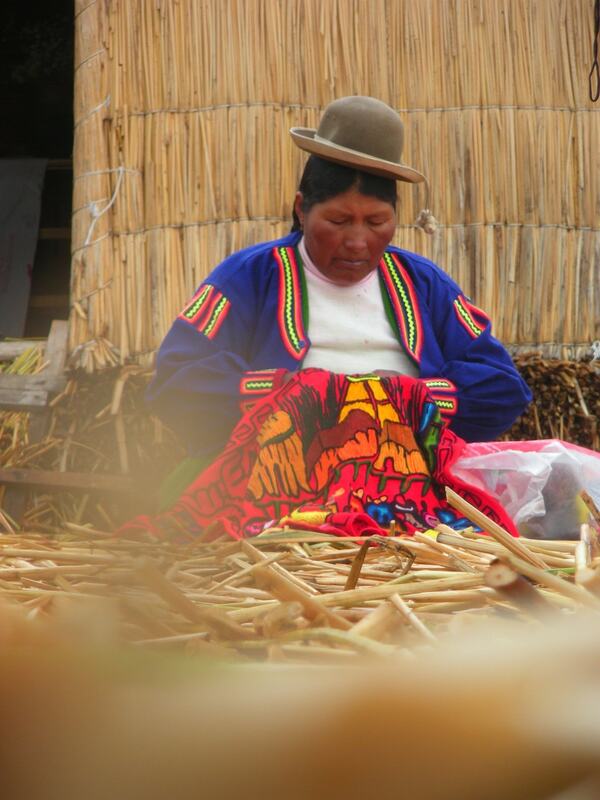 Although tourism is a major source of income for the modern Uros people, they must still utilize a number of traditional hunter-gatherer techniques in order to survive. 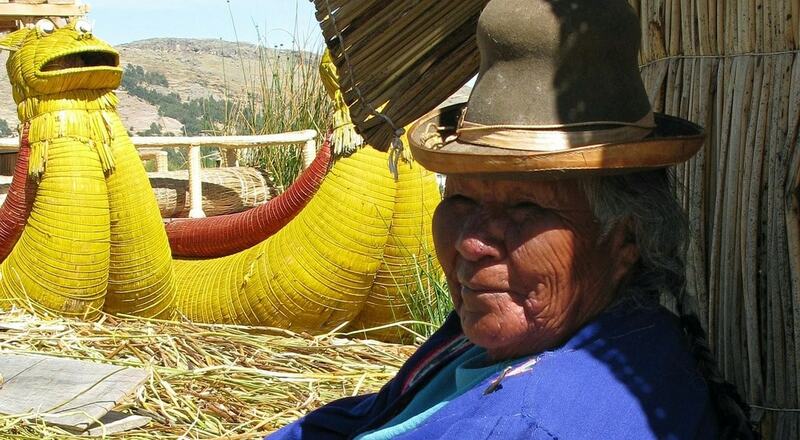 For example, the white lower section of the totora reed is actually edible, providing nourishment as well as medicinal benefits such as pain relief. Trout, catfish and kingfisher are caught in the lake, while domesticated birds such as the Ibis are raised to lay eggs. Some families even have cattle which graze on natural islands or on the mainland. The floating islands are an extraordinary feat of engineering, especially considering how long ago the originals were constructed. Workers collect totora reed, which are ubiquitous to the lake, and weave their dense roots together to form a sturdy layer. Considering the base of each island is up to 2 meters (6.5 feet) thick, this takes considerable time and effort. To hold them in place, the islands are moored to the lake bed using long sharp sticks and plenty of rope. Over time, the reeds start to rot away and eventually disintegrate, a problem that is exacerbated by people walking around. Tourists may not realize it, but their very presence creates a substantial amount of extra work for the locals. On the busier islands, reeds need to be swapped out every three months or so. If well maintained, an island could be expected to last for 30 years. Although it is possible to visit the islands independently, savings are extremely marginal so virtually all tourists arrive on an organized tour. Upon landing on an island, the locals typically greet tourists while a guide shows them around and explains some of their history and traditions. During the tour, visitors can try on some traditional garb or go for a ride in a totora reed boat for a small additional fee. During the tour, the locals will inevitably try to sell their local handicrafts, a process that feels a little to pushy for some. However, it is important to keep in mind the islanders only keep a very small percentage of tour profits, essentially relying on these sales to survive. Also, remember that just being there literally causes their homes to decay and results in the need for a substantial amount of restoration work. Finally, their wares are actually pretty damn good, so consider at least making a small purchase. Although relatively uncommon, it is possible to sleep on one of the islands overnight as the guest of a local family. But be warned, facilities are extremely basic with limited access to electricity and running water. Having said that, staying overnight on a floating artificial island is an experience your unlikely to forget anytime soon. 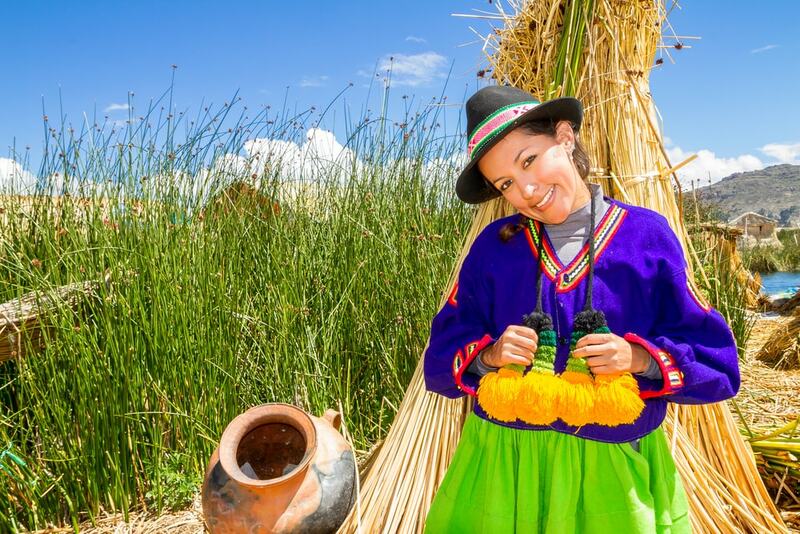 If time permits, it’s worthwhile booking a two-day tour which stops at the Uros islands before visiting the larger natural islands of Amanataní and Taquile. 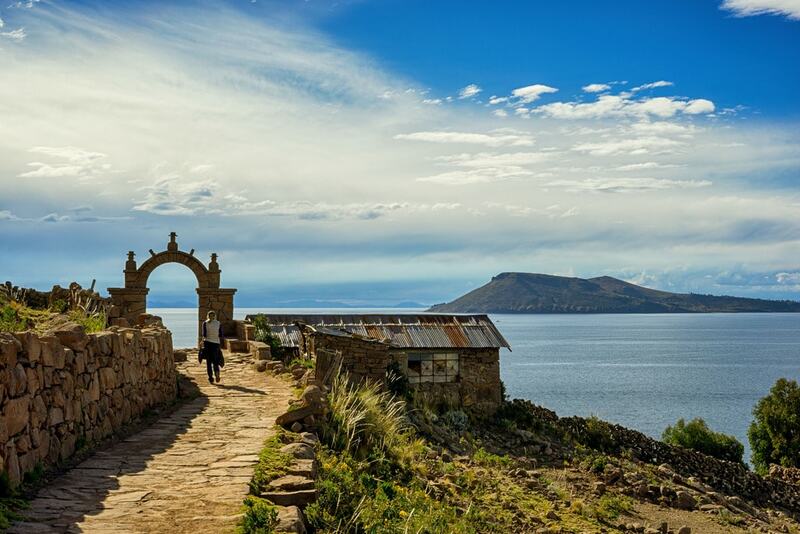 These two islands are inhabited by the indigenous Aymara people who have their own unique customs and traditions, not to mention there are numerous ancient sites and breathtaking vistas to savor.